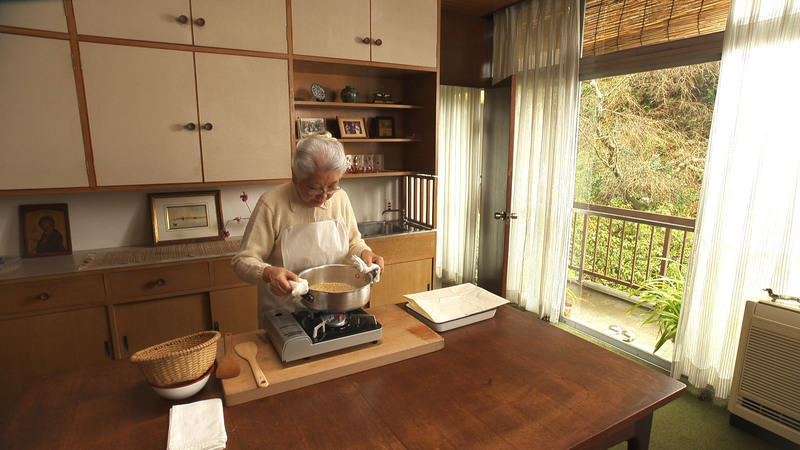 Appetizing: A still from "Ten no Shizuku" ("Drops from Heaven"), a film now showing nationwide, shows Yoshiko Tatsumi making soup at home. | © 2012 TENNOSHIZUKU FILM PARTNERS. 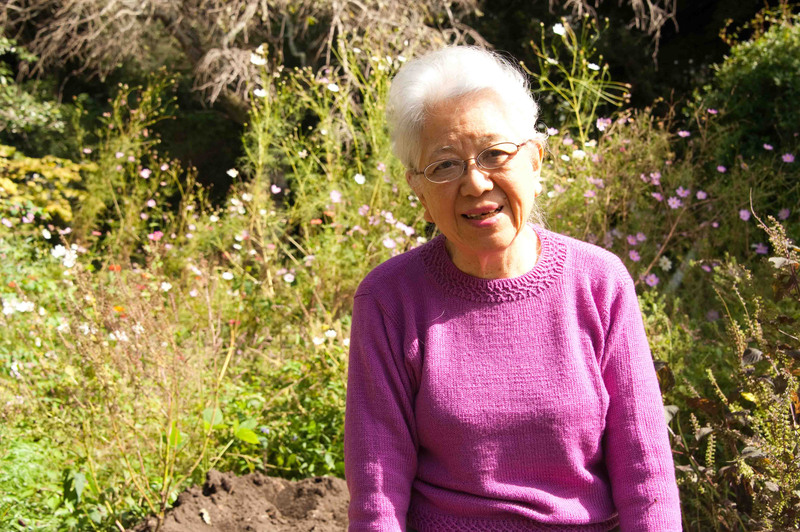 “Never fight a war with Chinese people, because we would lose,” Yoshiko Tatsumi sternly warned, “with absolute certainty,” a 40-strong group of mostly middle-aged women gathered recently in her spacious three-story residence set in gardens in Kamakura, Kanagawa Prefecture. And so continued Tatsumi’s sobering lecture at her monthly soup-cooking class that draws attendees from across the nation, all united in their eagerness to feast on the 87-year-old cookery expert’s tips, knowledge and all-round wisdom. The primary subject of the day, of course, was soup. Tatsumi demonstrated preparing two sorts — a beef consomme and a sweet-potato potage. Her tips included stirring vegetables in cooking oil before putting them on a stove, as that coating helps the even absorption of heat. She then let the soup ingredients simmer slowly on a low heat in a pot with the lid on, stirring only occasionally and “making the vegetables sweat.” This is a technique she said helps to best bring out the ingredients’ umami (pleasant savory taste) — the so-called fifth basic taste (along with sweet, sour, bitter, salty and metallic) that, chemically speaking, is created by amino acids including glutamic acid, inosinic acid and guanylic acid that are abundantly present in both soups and dashi (a Japanese soup stock made from bonito flakes, konbu [kelp] and/or dried shiitake mushrooms). But Tatsumi’s wisdom-sharing is not limited to soups — as was evident from her remark about China. In the same lesson, she also recalled, for example, her experience of caring for her bedridden father and how she succeeded in feeding him pieces of beef steak, which he loved but had almost given up eating as he had difficulty in swallowing. Whatever Tatsumi is talking about, though, it always reflects her long-held belief that food affects every facet of people’s lives — and that cooking is an act of love and the most basic human freedom. She also believes that soups and soup stocks are the most sophisticated foods, since they condense the blessings of nature — whether from the ocean, the mountains or the fields. It’s a philosophy, she says, that was onlpassed down to her by her mother, Hamako, who is widely known in Japan as an early home-cooking expert. 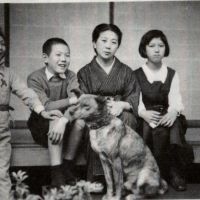 However, Hamako was also the proud “manager” of the Tatsumi family, comprising her husband, Yoshio — an executive with a major construction company before the war — Yoshiko and her two brothers. 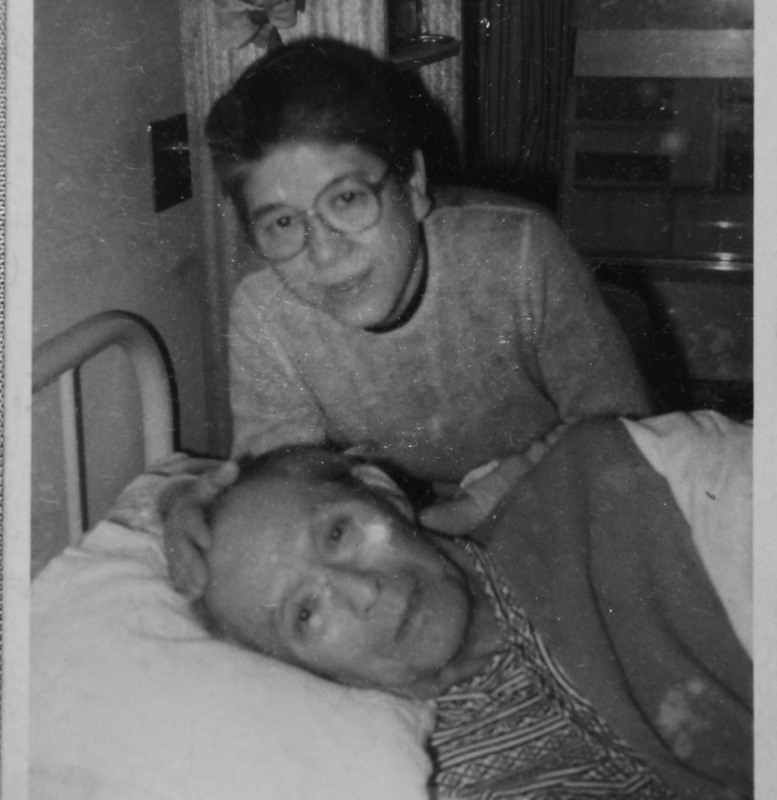 Whether in Tokyo’s Meguro district where the family lived when she was very young, or later after they’d moved to Kamakura, it was her mother who taught Tatsumi how to live her own credo through cooking. As an example of this, Tatsumi has told of her mother coming up with an ingenious way to send a soup for soba noodles to China when her husband was based there with the Imperial Japanese Army. She also recounts how her mother started spreading her expertise through giving cookery classes at home and later by appearing on television and in magazine articles. Tatsumi has surely followed in her mother’s footsteps, having for years taught a monthly soup-cookery school at home, where she lives with her head apprentice, Chikako Tsushima. 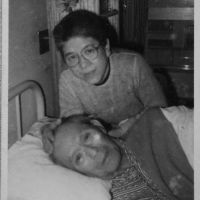 Tatsumi has stayed single since being separated from her husband just three weeks after their wedding, when he was drafted into the wartime armed forces and died off the coast of the Philippines. She occasionally appears on NHK’s “Kyo no Ryori” (“Today’s Cooking”) TV program as an instructor, and also writes books and magazine articles on all things related to food. 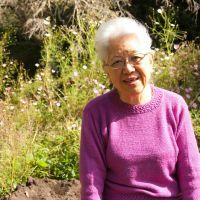 What’s more, in 2004, at the age of 80, and prompted by her alarm at the nation’s low food self-sufficiency (which is only 7 percent for soybeans), she started a group named Daizu Hyakutsubu Undo wo Sasaeru Kai (The Group to Support the Planting of 100 Soybean Seeds). Under the umbrella of that group, Tatsumi launched a campaign to get children in elementary schools to plant 100 soybean seeds each, as well as to grow and harvest them, since they play a vital role in the Japanese diet. The movement has now spread to more than 300 schools across the country. 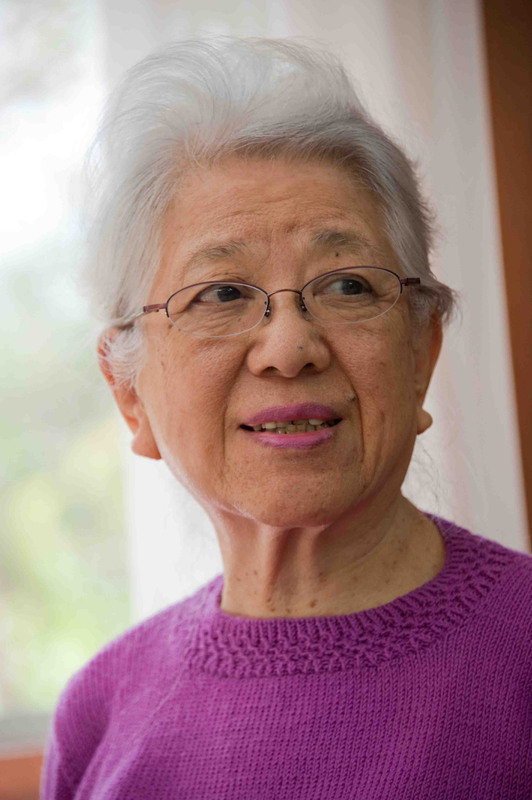 Tatsumi is bound to get even busier with the Nov. 3 release of “Ten no Shizuku” (“Drops from Heaven”), a 113-minute documentary film themed on her life and philosophy. Shot by Atsunori Kawamura and featuring breathtaking imagery of food and nature as she travels around Japan, the movie’s subtext is a rumination on the links between food and its producers, and food and our lives. 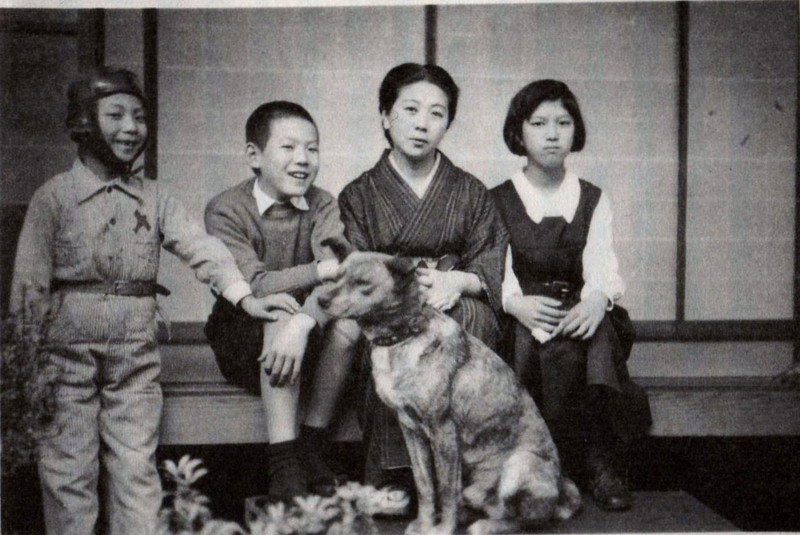 I understand you were born in Meguro, Tokyo, and that your mother was a pioneering ryōri kenkyū-ka (cookery expert). Is that right? Why was she so offended? She was immensely proud of being a homemaker. Being a homemaker was her lifelong theme. So she was disgusted by the idea of being labeled a cookery expert. She almost felt insulted by that. I feel the same way. I hate that expression. Why do you feel disgusted by that? Well … it just feels unbalanced. She was called that because there was no other way to describe what she was doing, and then the media got used to using that label. I guess there was a burgeoning group of people like her, and the media could not find a phrase to categorize these people, so that’s why they came up with that phrase to refer to them. What was your mother like around the house? How should I describe her … She was very passionate — three times more passionate than me! And she was extremely good at giving shape to her sincerity for her loved ones. There are many ways to express love. The way my mother expressed her love to my father is a good example. 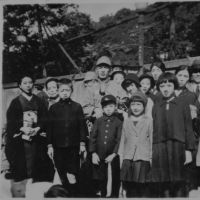 With the outbreak of the Second Sino-Japanese War (in 1937), my father was drafted and sent to the war. In those days, the men were formed into groups and were given a public send-off. 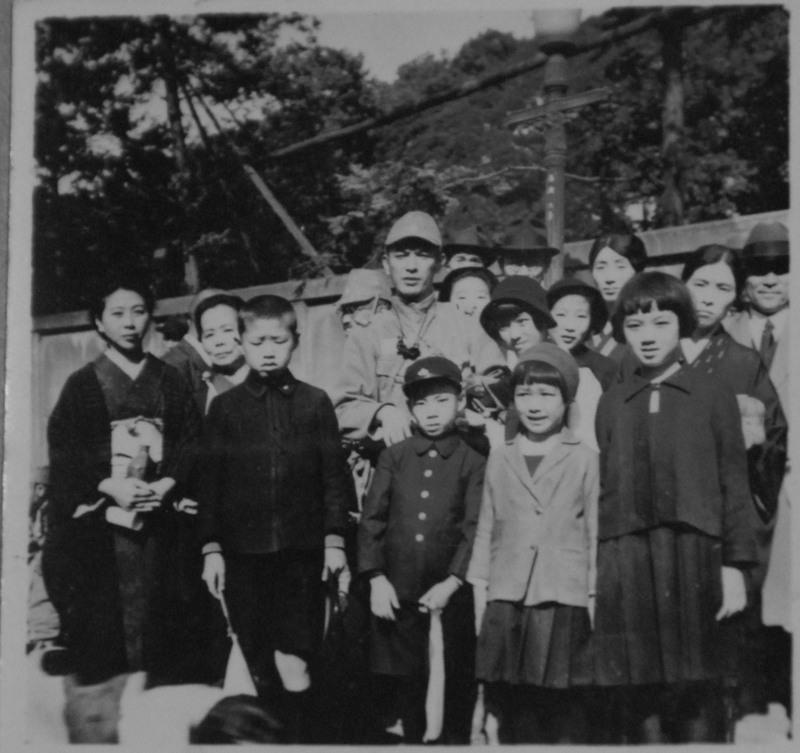 Toward the end of World War II as Japan’s defeat became imminent, soldiers began to be sent off quietly and privately. Anyway, what my mother did for my father’s send-off was to somehow have a chrysanthemum flower pinned to the soldiers’ uniforms. On the day of departure, all the men in his party wore one of those flowers! I’ve always been really amazed at how in the world she made that happen. There were all kinds of rules and restrictions in the military and it was inconceivable that members of Party No. 3 would have flowers and not those in Party No. 1 and Party No. 2. I’ve always wondered how and from whom she got permission to do that. The flowers were attached to the men’s empty cartridge cases. I remember a nice scent of chrysanthemum wafting from my father’s party. I know she probably went overboard on that one, but when she had an idea she would work out a plan and realize it. So she was a natural at showing her compassion. Yes. My father would write us (from China) what he wanted to eat — in pictures. He missed Japanese food and once drew soba noodles. So my mother wanted him to be able to eat soba there. There were dried noodles, and yakumi spices could also be sent in a dried form; my mother knew he was able to source the same kind of negi (green onions) in China. What about the soup to put noodles in, though? She shaved five pieces of katsuo (dried, fermented and smoked bonito) into flakes (with a tool like a wood plane). I mean, people today would struggle to shave just one bonito off! She crushed the shavings into smaller flakes, let sake, mirin (sweet sake) and soy sauce seep into them, and then roasted them. In effect, she created what could be considered today an “instant soup stock.” I don’t know when she came up with the idea, but I remember her toiling at it in the kitchen, shaving and shaving and shaving. She felt hot in the process so took some layers of her clothes off and carried on. Had nobody else thought about sending soba soup to China back then? How did having such a woman as a mother impact you? I grew up taking it for granted, thinking that mothers everywhere were doing what my mother was doing. Then I realized that it wasn’t the case. I’ve never seen any other mother like her. Well, I wasn’t self-centered, but I wasn’t independent-minded, either. 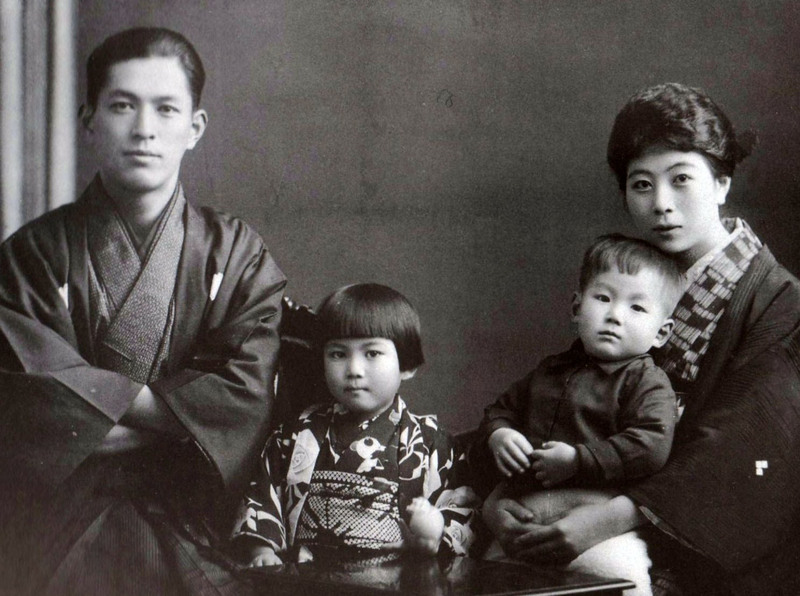 Were you an ojō-san (a well-brought-up girl in a well-to-do family)? I guess I was. I was compliant, doing what I was told to do. You lost your husband soon after your marriage when he was sent to the war and was killed. That must have had a huge impact on you. And at that time, weren’t you living at your in-laws’ house? Your mother must have worried about you then, and have been relieved to have you back. Yes. But no matter how much you worry, certain things do not get solved. Big issues (like losing a husband) can only be solved by time. You need to let time solve them. That’s the best solution. I actually like “using” time like that. That’s why I’m good at making preserved food. Wow. You enjoy the process of watching things ferment over time. Yes. It’s fascinating to me. We humans can make efforts up to a certain point, but beyond that, only time can get things done. That’s what really excites me. Also, my mother’s traits of planning things well in order to achieve her goal might have influenced me. Earlier, after you graduated from Seishin Joshi Gakuin High School (a prestigious girls-only school in Tokyo), didn’t you contract tuberculosis? Well, after I graduated from the school, I went to another school to train as a nursery teacher. What I was most interested in, in fact, was anthropology, but back then nobody had even heard of the word. I wondered where I could learn things like that, but I couldn’t find an institution that taught what I was interested in. It wasn’t exactly geography or history, and I didn’t mind children, either, so I thought I would become a nursery teacher. After I graduated from that school, I got married. And then I went to study psychology at Keio University, because I thought that would help me understand human beings better and solve some questions I’d had in my mind for a long time. But then my tuberculosis got very bad. How long were you treated for that? And was it after that that you started to help your mother with her cookery lessons? Yes. Anyway, I stayed at home all the time after coming back from my in-laws’ place. Was there any connection between your experience of caring for your sick father and afterward starting to teach your own cookery class — a soup-making one? Many people simply connect the two — my dad and my soup class — rather simplistically, but you can’t really teach people how to cook by just caring for your father. You shouldn’t teach people something unless you have acquired your knowledge systematically. I was fortunate enough to get lessons from Masayuki Kato, who worked in the kitchens of the Imperial Family under the highest-ranking chef Tokuzo Akiyama. I learned French cooking from Kato for 13 years. What a wonderful man he was! The highest-ranking chef must always prepare food for state guests from abroad. That’s no easy task, because the national reputation is at stake. Do you know how, if the food served at international conferences is great, participants are supposed to have great discussions? Soups are served at the very beginning of the meal, and they may leave a long-lasting impression throughout the following courses. Soups are that powerful. So my teacher made an entire career out of just soups and vegetables. He taught his students many things, but more than anything, he taught us the right attitude to making a soup. That’s the most important thing. Before you make a soup, you need the right attitude — meaning a strong determination. The way you talk about soup-making makes it sounds almost like michi (a moral doctrine). Yes. It’s about a strong determination, and a goal. As I said, it’s the determination you put into making a soup that will determine the outcome of a dinner meeting. And, unlike other animals, human beings have refined their tastes for food. The most developed form of this is to draw out foodstuffs’ extracts by heating them. Of all animals, only human beings do this. Soups and dashi are the most developed forms of food, I think. In that sense, it follows from its rich culture of dashi that Japan could be said to have a highly developed cuisine. When you think about the culture of dashi, konbu was brought from the Ainu people (in Hokkaido), and the “Engishiki” (a code of law from the Heian Period [794-1185]) makes reference to that. But nobody knows how konbu from the north came to be used along with katsuobushi (shavings of smoked bonito), which originally comes from southern Japan. Has nobody done research into that? No — and neither have nutrition scientists figured out exactly the combined effects of konbu and katsuobushi. I see. So somebody came up with the idea of using them together a long time ago. That’s right. We humans haven’t found a nutritional explanation for great taste, but the moment we taste a great soup we feel as if the stiffness in our shoulders is suddenly gone. I don’t know why such a sensation occurs. I find Japanese soup stocks present us with the easiest way to get nutrition. Are there any other Japanese foods passed on for generations that you feel are worth preserving long into the future? Let me put it this way: The advantage of Japanese food is that it can be tasty without using too much oil. Why do you think that’s possible? Is it because of its umami flavors? Well … I like to tease people. (Laughs). What’s different about Japanese cooking as opposed to Western cooking is that in Western cooking you only use salt as a seasoning, which means the saltiness is very straightforward and therefore it has to be softened with oil. In Japan, we have two fermented seasonings — soy sauce and miso — which are not straightforward. If you use them, food can be eaten with less salt. The strength of Japanese food lies in fermented seasonings and the dashi soup stock. I took konbu to Europe (for a cookery demonstration). Many people there regard seaweeds as devilish substances. So when I cooked in Spain using konbu, people there looked at me from a distance as if I were dealing with something hideous. But when they tasted my food they liked it. So they asked me afterward, “Will you send us that black, square thing?” (Laughs). Japanese cooking also uses nuka (rice bran) to make pickles, and those pickles are very different from the ones in the West. I’m probably one of many people in Japan who are too busy most days to spend very much time choosing and preparing food. What would you say to people like me? Have you ever thought about why food must taste good? I sometimes feel that eating is one of the biggest pleasures in life — and the highlight of daily life. Well, I have a different perspective. I think this issue should be considered with the evolution of humankind in mind. Our ancestors were originally eating stuff they picked from nature. They learned to differentiate what was edible from what was not edible. How did they determine that? I think their judgment was based on whether they thought the food tasted good or bad. Eating food that tastes good leads to a sense of security and comfort. Do you mean that we have cultivated taste to create a sense of security for ourselves? Exactly. That is in our DNA. If we find our food delicious, it doesn’t just give us joy — it gives us comfort. So when we don’t find what we eat delicious, we feel insecure. So we end up eating more here and there. Food that doesn’t taste good makes us feel uneasy. Do you think that many of the mental-health issues in society, such as bullying, may have something to do with people’s eating habits? Definitely. When we feel irritated for inexplicable reasons, it has something to do with our food. In 2004, at the age of 80, you started a campaign to get school-children to plant, grow and harvest soybeans, and then eat them. How did that come about? There was no single event that prompted its start. I had been thinking about it for a long, long time. I had been racking my brain what to do about the post-harvest pesticides for soybeans and wheat. I don’t know how much you know about opium, and the ways the British tried to keep India from becoming independent … I think post-harvest pesticides (used on produce to ensure it keeps or travels well — despite fears some may be carcinogenic) are the modern-day equivalent of opium. You can weaken a nation’s people with pesticides. So nowadays, do you think the promotion of post-harvest pesticides stems from the United States, which has become the leading country in the West? Yes. I feel there might be a research institute of some of sort (in the United States) that studies the effects of pesticides, which are used for the purpose of weakening the people of other nations. Not that I have done any investigation myself (into the existence of such an institution), but I feel there may be. I’ll explain why I decided to target schoolchildren in my soybean campaign. If I got more adults to grow soybeans, it would very quickly and visibly raise the nation’s food self-sufficiency. But if our activities become too visible, there would definitely be some forces out to keep us from continuing our activities and the Japanese government would feel pressure to follow. But as long as it’s schoolchildren who are engaged, and if the children say they want to keep on growing soybeans, no institution will be able to stop them. That’s why I let children plant the seeds. And what people experience when they are young they will remember as adults — like if there’s an emergency and we must start growing soybeans ourselves. The government has said it will engage in negotiations about the U.S.-led Trans-Pacific Partnership, whose aims include removing tariffs and promoting trade, including trade in foodstuffs. Are you for or against Japan joing the TPP? Think about it on an individual household basis: If you cannot feed yourself, you will only be ridiculed no matter what you say. I think it’s only natural for a country like Japan — which cannot feed itself — to be denied opportunities to speak out internationally. If you produce more than enough to eat and still want to buy food from other countries, that’s fine. But if Japan’s food self-sufficiency goes down even further because of the TPP, which I think is possible, it would be an absolutely idiotic thing. And what’s wrong with saying that out loud? Why aren’t our politicians saying that? We shouldn’t ask cowards like them to run our country. The Great East Japan Earthquake on March 11 last year, and the subsequent radiation leaks from the Fukushima No. 1 nuclear power plant, have greatly compromised and complicated food-safety issues in this country. What do you think about the fears many people have concerning radiation and its impact on the nation’s food? You know, there is nothing complex here. The answer is very simple. It looks complicated because that’s the intention of the business sectors, but all the answers will be clear if we weigh “life.” We should not accept anything that threatens life. Some people say this is a simplistic way of thinking. But no matter what excuses they make, they don’t make sense. We must live with a sense of humility such that we should absolutely not choose what threatens life. So your stance is that nuclear power and human life cannot coexist. They cannot! And all the chemicals and the pesticides. These days I hear there are highly effective pesticides that work in very small doses. But I also hear honey bees are disappearing because of such pesticides. You look very healthy. Does your diet explain that? I work a lot because they make me.(Laughs). … My (head apprentice) Chika-san is so good at preparing things in stages that we always have some soup or other. I have different soups three times a day. Last night, I had a consomme soup of shijimi clams. Shijimi and asari clam soups are really nice. Consomme is not a technique that Japan had, because we used to be able to get clams very easily; we could just boil a lot of them and eat them. But now clams are so expensive, with shijimi costing ¥3,000 per kilogram. That is mostly the weight of shells. In order to get nutrition from the shells, too, I decided to boil the clams for a long time. You add a bit of mirepoix (a mixture of celery, carrots and onions) with clams and keep boiling them quietly for about 30 minutes — then you will get this inexplicably wonderful, energizing soup. It relieves your fatigue and calms your nerves. It’s full of zinc, too. I think having all kinds of soups three times a day makes a difference. What kind of future for Japan would you like to see? I’m convinced that, eventually, alternative (renewable) energy will grow to an extent that it’ll support us stably and entirely. It will take at least 30 years before we get there. We must be firm in our determination to accept that 30-year period. But everyone’s stance is far from that. Japanese have become so spineless. We need someone to show that determination. What do you mean by “our determination to accept that 30-year period”? Does that mean we’ll have to live with the risks of nuclear power as we phase it out over that period? No. It’s the determination not to use nuclear power. Then how will we live during the next 30 years? We’ll have to live with just a little inconvenience to our way of life. It’s that simple. I don’t think it’s a problem, because we didn’t used to have nuclear power. “Ten no Shizuku” is currently showing at 21 theaters across Japan. For more details, visit tennoshizuku.com (in Japanese).